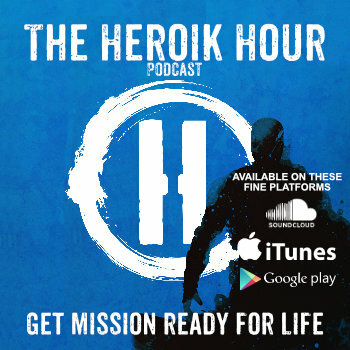 Welcome to the Heroik Hour, the podcast where we get you mission ready for life by giving you a little clarity, alignment, purpose, and energy or as we refer to it a CAPE. I’m your host, Nicholas McGill, Chief Experience Officer for Heroik Media. Thank you so much for joining us on episode 18. Moving on… If you were asked right now – would you be able to describe yourself or your business in a way that set you apart from the rest of the herd, that resonated and invigorated you, your team and your prospects as well? Would you believe your own answer? Can you list your values and how you put them to work in your everyday effort? MOST PEOPLE CAN’T. Most brands can’t. Most managers, VP’s, employees and even executives of Fortune 500’s can’t do this off the top of their head. Most people do not know themselves or their businesses all that well. And on this episode, we’re going to talk how Not having this clarity of character, alignment, purpose, and energy, or CAPE, affects life and work, and what you can do about it. Now, I’ve worked with business owners, executives and managers and good willed people from businesses and brands of all sizes in my consulting practice. And the most common thing that I notice, that keeps an established person, a brand, or business from that next stage of growth that they want, going from point B to point C, regardless of current resources, revenue or the size of the business, the single thing that keeps them from becoming heroik is they’re missing 1 thing; A CAPE. How can you be Heroik without a CAPE? That doesn’t make any sense right? When I say they’re missing a CAPE, I mean they do not have CLARITY of character, ALIGNMENT of values and practices, a true sense PURPOSE and a wealth of ENERGY to ensure you have the juice you need to see things through. This is the secret sauce of a Heroik brand, and this is what I seek to deliver and collaborate on building with my clients. And this is what so many owners, leaders, and managers lack and suffer for not having. The truth is that most people do not know and have not written down or taken the time to reaffirm and declare their brands and integrate their soft infrastructure of their business with the hard infrastructure of their business- or at least they haven’t done all that well at it. This keeps them from taking off. It keeps them from moving in strategic alignment, focusing on what is essential and filtering out the rest. Without a CAPE, most people, brands, and businesses suffer and struggle to live and practice in mediocrity. And there are 7 Deadly Symptoms to watch out for to know if you’re living a life without a CAPE. 1. If you can’t list 5 core values off the top of your head or you do not know what your core values are at all. If you can’t remember them, you don’t practice them with intention, they’re not baked into what you do. And the only time you affirm your values is when it’s time to take credit or a curtain call. This leads to pulling values out of a hat for branding and experience design efforts. And most people choose values that they think other people will like, not what they the brand and business actually champion. This creates a systemic ripple effect throughout the business, as your values inform your decisions and how you articulate your brand. If you fake it, or select all hat and no cattle. There will be noticeable disconnects between what you say and what you deliver, what you market, how you position, and what the experience really is when the product is unboxed, or the customer calls support for help. 2. If you can’t identify 5 strengths and how you use them to create value for others, how they help you in your work. If you don’t know what you’re good at, what the hell are you telling the people you work with? How are you convincing customers to buy with you? The answer, usually, is a great big lie. Your story doesn’t hold up and people will notice. We live in the age of transparency, where word travels fast, and people expect brand consistency. The inconsistency between word and deed demonstrates a lack of integrity. At a personal level, not knowing yourself and your place in the world, or in the value chain is incredibly isolating, and it is a throat punch to performance. It’s hard to feel energized, motivated, valued and connected if you’re own sense of value or worth is in the toilet. These feelings – without clearly being able to articulate values and strengths lead to compromising strategies, tactics, and behaviors that erode the quality of products, services and people that make up the brand. As an individual or an organization, a brand with strengths and values unknown throughout the company is set to feel this way, to make compromises, choosing lower quality suppliers because you settled for a lesser deal, all because you or your executive team felt devalued long before you began to negotiate. Settling for less than you’re worth, and compromises that steer you away from standards you forget or didn’t know you had. Without knowing what your values are, the strengths you have, it’s difficult to chart a course of where you could or ought to go. 4. Having no confidence in what you say or a consistent story to tell. If you have 0 confidence in your story of your brand, this prevents you from creating content and attracting opportunities that will grow and improve your life. You have 0 confidence in your ability to develop copy, content, and commit to strategy because you have refused and avoided taking the time to get serious about defining yourself on paper. As a result, your content, strategy, marketing efforts and stories are all over the map. If your values, strength, direction, and goals are unknown, vague or ill-defined for a leader, then there is no way that that knowledge can be institutionalized throughout your company, community, and even family. As a result and coping mechanism, when asked about culture, most leaders claim that theirs is organic. Without a shared and defined culture – departments get tribal and competitive. They disconnect and become disjointed silos that behave like warring factions in a tribe. They try to function independently and produce touch points that are disjointed, that give off conflicting and mixed messages – like having the positioning of a luxury brand like Louis Vuitton but the customer service of Comcast or Xfinity. Organic culture is a nice way of saying no, low, lazy and unstrategic culture. It usually hinges on the belief that culture automagically trickles down from leadership, from the CEO through the rest of the organization by modeling (people paying close attention to the those above them and acting accordingly). What a great game of telephone that is – the problem is there’s no time budgeted for the phone call or call for people to pay attention in the first place. The other key assumption here is that organic or lazy culture is made toxic and dysfunctional by being rooted in unspoken expectations and agreements that were never made. I’ve been on countless advisory councils for operational excellence listening to leaders of top organizations believe people will and should do things because they simply expect it but do not clearly communicate it or budget the time to fairly account for the appropriate behaviors and practices. For all of the reasons and previous symptoms we’ve discussed, the symptoms of operating without a CAPE. If you feel alone or separate from the community – that’s lack of CAPE moment. It’s hard to connect when you don’t know what you share in common with others, customers, stakeholders, and co-workers. Feeling lost and wandering without direction – This leads to feeling stressed and anxious around the clock, habitually eager to keep busy and distracted from facing a feeling of lack of momentum or direction. The feeling of movement helps you cope with not having a heading a man riding a horse passing another man – the man asks, where you going – the man answers “I don’t know ask the horse. – Busy is not a productive or focused application of the power of concentrated thought aligned with your goals. 7. And finally, if you notice that you, your team or entire company have low energy, a lack of enthusiasm or motivation and lagging performance as result – this is the most clear and present sign of operating without a CAPE. So, look for these symptoms in your life and work because they hinder your performance on and off the clock. Which one’s are you feeling? Are you operating without a CAPE-does it feel like you’re energy is wasted, profits are suffering or the work is unfulfilling, dull and soul sucking? This, in turn, chases off your best employees and customers alike, and it prevents you from enjoying a Heroik Lifestyle. Don’t wait to suffer longer, get your business off the ground and get started on your CAPE, – I’ll catch you next time.